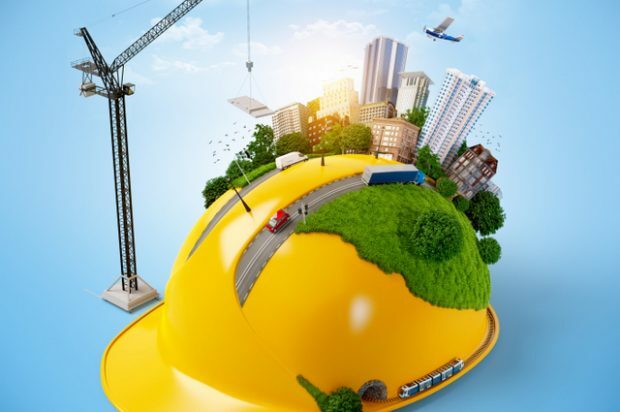 The value of new construction starts in September soared 14% from the previous month to a seasonally adjusted annual rate of $814.8 billion, according to Dodge Data & Analytics. 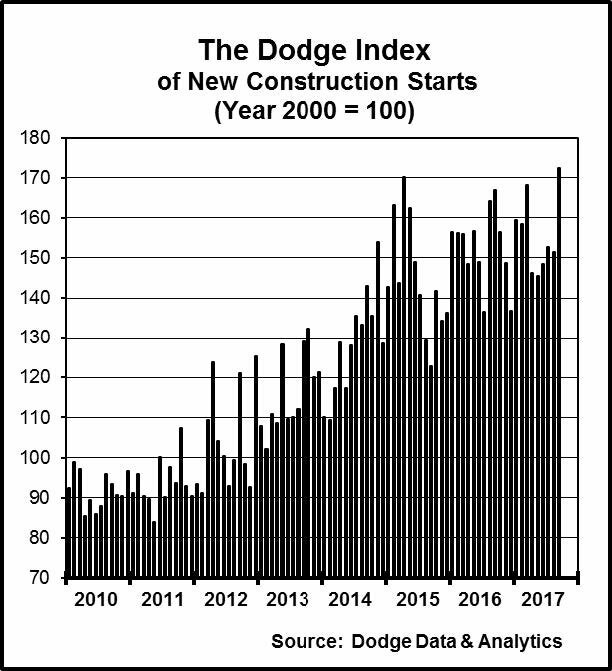 The nonresidential building sector strengthened for the second month in a row, climbing 37% with the boost coming from the start of a $6.0 billion ethane cracker plant in western Pennsylvania plus two projects in New York NY – the $4.0 billion Delta Airlines new terminal facility at LaGuardia Airport and the $1.7 billion 50 Hudson Yards office tower in Manhattan. Residential building in September edged up 1%, as both single family and multifamily housing registered modest gains. Running counter in September was a 3% drop for nonbuilding construction, with decreased activity for its public works segment. Through the first nine months of 2017, total construction starts on an unadjusted basis were $557.7 billion, essentially matching the corresponding amount from a year ago. The year-to-date dollar volume for total construction was dampened by a 38% decline for the electric utility/gas plant category. If the electric utility/gas plant category is excluded, total construction starts during the first nine months of 2017 would be up 3% compared to the same period last year. Nonresidential building in September was $368.8 billion (annual rate), a 37% gain compared to its August amount. The manufacturing building category surged 490% from subdued activity in August, boosted by the $6.0 billion ethane cracker facility in Monaca PA, in close proximity to the Marcellus shale gas field. The next largest manufacturing project entered as a September start was a $280 million poultry processing plant in Fremont NE. The institutional building categories as a group climbed 25% in September, led by a 145% hike for transportation terminal work. The $4.0 billion new terminal facility for Delta Airlines at New York City’s LaGuardia Airport, which will replace Delta’s C and D Terminals, joins the $3.4 billion Central Terminal Building project at LaGuardia Airport that was entered as a January 2017 start. Through the first nine months of 2017, airline terminal construction starts have totaled $14.0 billion, almost five times what was reported during the same period of 2016. Educational facilities, the largest nonresidential building category by dollar amount, increased 14% in September. There were ten educational facility projects valued at $100 million or more that reached groundbreaking in September, including a $243 million neuroscience building at the University of California San Francisco, the $200 million renovation of the Mid-Manhattan Library in New York NY, and a $150 million high school in Germantown MD. Healthcare facilities in September retreated 2%, although the latest month did include a $550 million medical center in St. Louis MO, a $183 million hospital in Frisco TX, and a $176 million medical center expansion in Vail CO. The smaller institutional project types showed a mixed performance in September. The public buildings category climbed 42% with the help of a $113 million criminal justice center complex in Nashville TN and a $91 million U.S. Land Port of Entry facility at Alexandria Bay NY. Declines were reported in September for religious buildings, down 5%; and amusement-related projects, down 59%. The reduced amount for amusement-related work was relative to an elevated August that included the start of the $1.2 billion expansion of the Javits Convention Center in New York NY. Even with the decline, the amusement-related category in September did include several noteworthy projects, such as the $140 million expansion to the Quicken Loans Arena in Cleveland OH. The commercial building categories as a group settled back 4% in September, following a 12% gain in August. Hotel construction dropped 45% from August which featured the start of several large projects, including the $342 million hotel portion of the $500 million Resorts World Hotel and Casino in Las Vegas NV, although September did include groundbreaking for the $95 million Four Seasons Napa Resort in Calistoga CA. Warehouse construction also weakened in September, sliding 14% after a strong August. On the plus side, office construction advanced 23% in September, led by the $1.7 billion 50 Hudson Yards office tower that’s part of the massive Hudson Yards development in New York NY. Also reaching the construction start stage in September was a $300 million office campus in Burlingame CA and an $80 million office building in Culver City CA. In addition, gains were reported in September for store construction, up 12%; and commercial garages, up 2%. Residential building improved a slight 1% in September to $298.9 billion (annual rate), with modest increases for single family housing, up 1%; and multifamily housing, up 2%. Single family housing appeared to lose momentum in late spring, but now seems to be stabilizing with gains in August and September. By geography, single family housing showed growth in four of the five major regions in September – the Midwest, up 5%; the Northeast, up 4%; the West and South Central, each up 2%. The South Atlantic was the one major region to register a September decline, sliding 4%. Multifamily housing has shown an up-and-down pattern so far during 2017, as its 2% increase in September followed an 8% drop in August. There were seven multifamily projects valued at $100 million or more that reached groundbreaking in September, led by the $235 million multifamily portion of a $290 million mixed-use building in New York NY, a $200 million multifamily high-rise in San Diego CA, and a $189 million multifamily high-rise in Jersey City NJ. In September, the top five metropolitan markets ranked by the dollar volume of multifamily starts were – New York NY, Dallas-Ft. Worth TX, Philadelphia PA, Seattle WA, and Boston MA. During the first nine months of 2017, the top five metropolitan markets ranked by the dollar amount of multifamily starts, with their percent change from a year ago, were – New York NY, down 7%; Los Angeles CA, down 13%; Chicago IL, down 27%; San Francisco CA, up 1%; and Washington DC, down 12%. Metropolitan areas ranked 6 through 10 for multifamily housing in the first nine months of 2017 were – Atlanta GA, up 37%; Boston MA, down 25%; Miami FL, down 46%; Seattle WA, down 27%; and Philadelphia PA, up 65%. 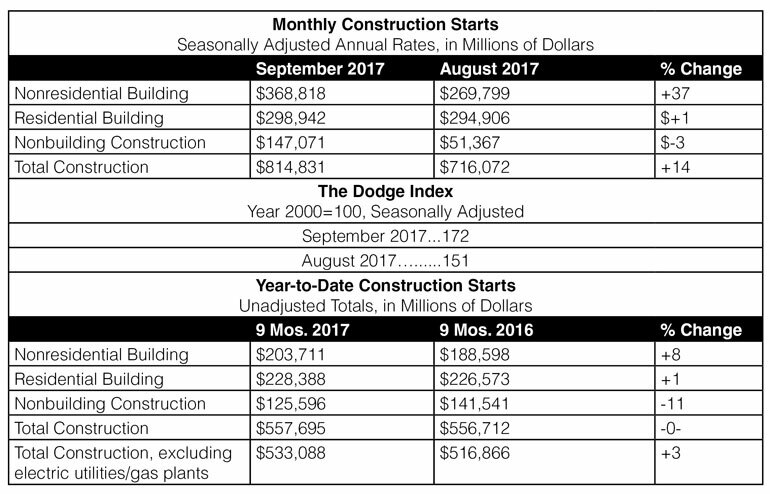 Nonbuilding construction in September was $147.1 billion (annual rate), down 3% from August. The public works categories as a group fell 6%, retreating for the second month in a row. Highway and bridge construction descended 6%, although September did include the start of several noteworthy bridge projects, including $452 million for renovation work on the George Washington Bridge in New York NY. During the first nine months of 2017, the top five states in terms of the dollar amount of highway and bridge construction starts were – Texas, California, Florida, Pennsylvania, and New York. The environmental public works categories showed September gains for river/harbor development, up 41%; and water supply construction, up 18%; while sewer construction slipped 1%. The miscellaneous public works category dropped 35% in September, continuing to recede from its exceptionally strong volume registered during the first half of 2017 that reflected the start of several major pipeline projects. The electric utility and gas plant category improved 10% in September, and included the start of three large gas-fired power plants, with two located in Pennsylvania ($750 million and $700 million), and one located in California ($550 million). The “no change” for total construction starts on an unadjusted basis during the January-September period of 2017 was the result of a varied pattern by major sector. Nonresidential building advanced 8% year-to-date, with institutional building up 18% while commercial building settled back 7%. The manufacturing plant category, up 35% so far in 2017 (aided by the start of several large petrochemical plants), contributed to nonresidential building’s year-to-date improvement. Residential building increased 1% year-to-date, as 7% growth for single family housing slightly outweighed a 13% decline for multifamily housing. Nonbuilding construction year-to-date dropped 11%, reflecting the 38% plunge for electric utilities/gas plants while public works was down only a slight 1%. 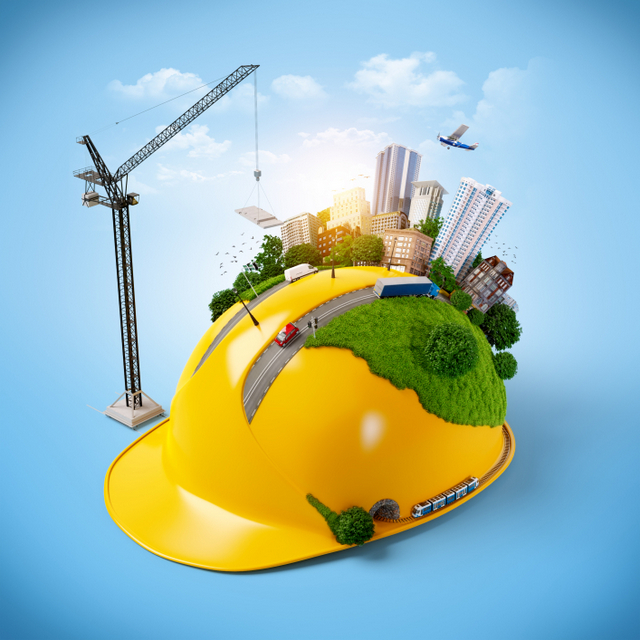 By geography, total construction starts during the first nine months of 2017 showed this performance relative to a year ago – the Northeast, up 21%; the South Atlantic, up 2%; the West, up 1%; the South Central, down 7%; and the Midwest, down 12%. The 7% decline in the South Central reflected in part the comparison to last year that included $6.2 billion for two liquefied natural gas terminals, while the 12% decline in the Midwest reflected in part the comparison to last year that included the $3.8 billion Dakota Access pipeline and the $900 million Wanda Vista multifamily high-rise in Chicago. Click here for more mind-blowing data from Dodge Data & Analytics.